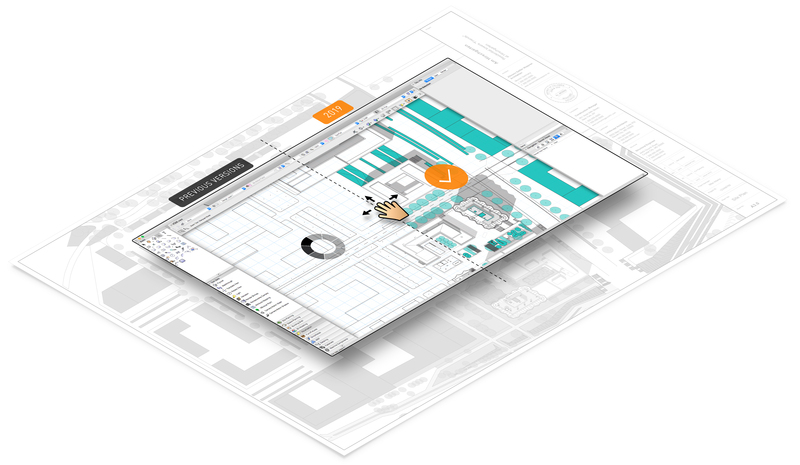 Select your current version of Vectorworks software to see the notable improvements and new features we’ve introduced since your last upgrade. You’ve made the move to working in 3D. 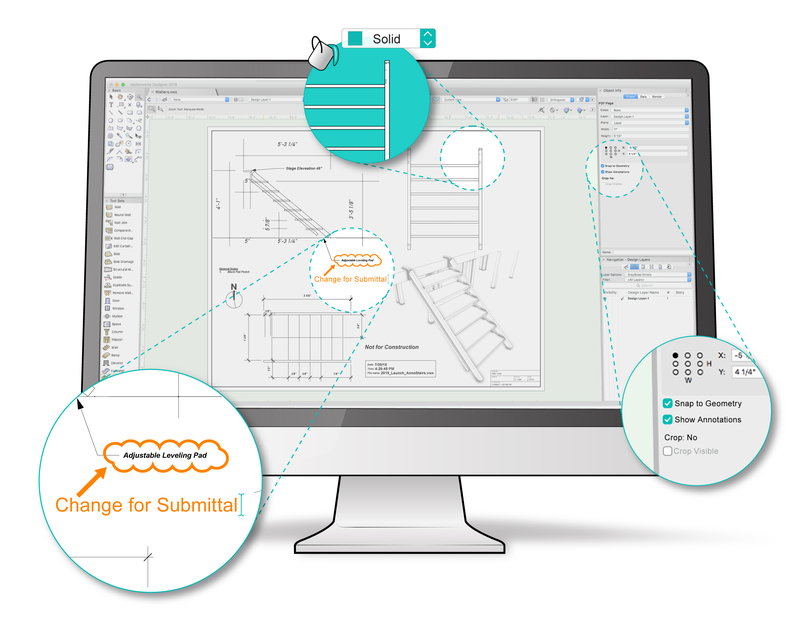 Now, optimize that effort by efficiently creating 2D drawings from your 3D and BIM models. With the new 2D components for hybrid objects capability, we’re putting you in complete control of the detail level your symbols and plug-in objects display. 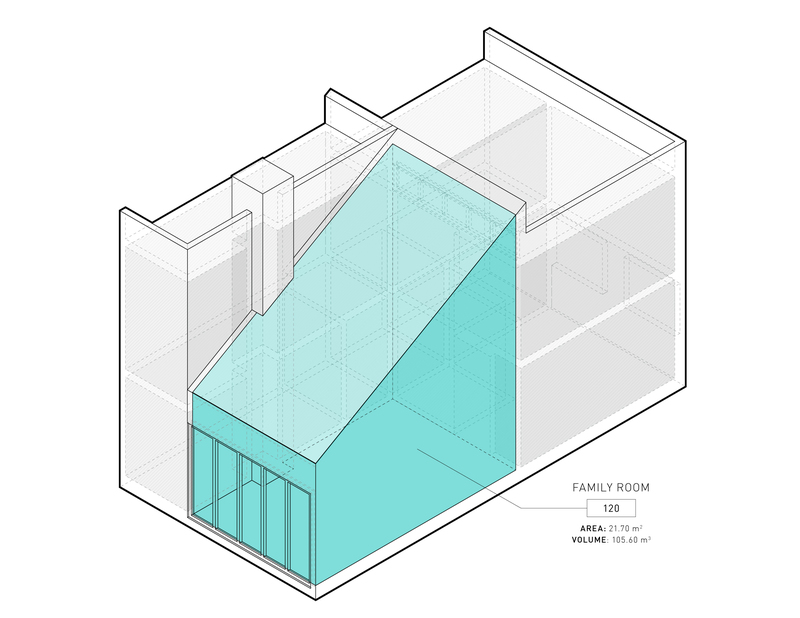 Simply right-click to edit the detail and display of any 2D/3D hybrid object so it draws exactly as you want in plan, elevation, and section views. Some aspects of your workflow thrive when flexibility works in predictable ways. 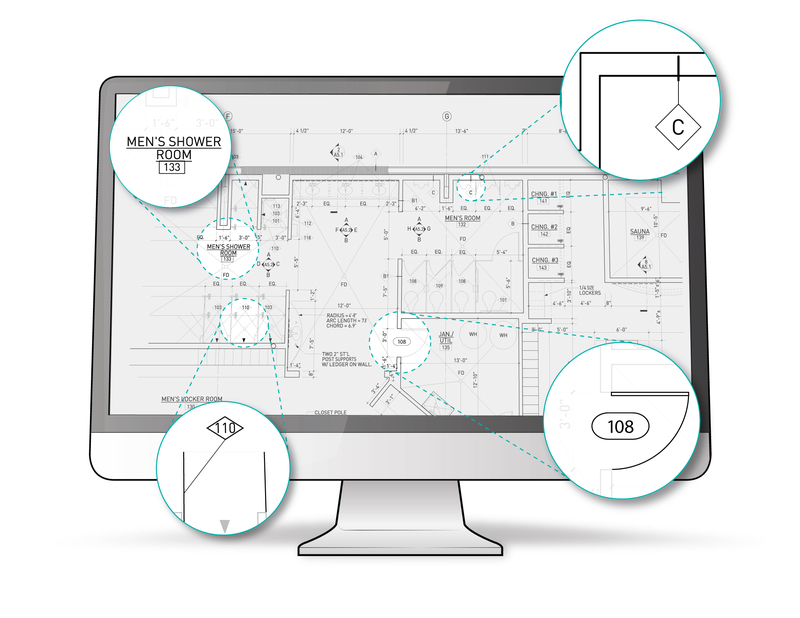 The new Data Tag tool in Vectorworks 2019 gives you a consistent and robust method for tagging and displaying data about the intelligent objects and symbols in your model and viewports. Tag objects individually, or automatically tag multiple objects, all while having complete control over the graphic appearance of data tags. 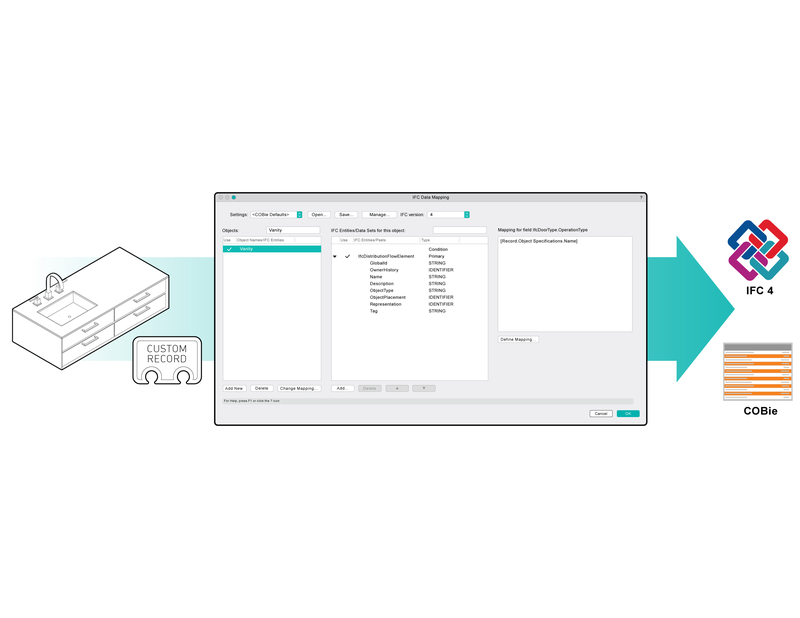 This will save you time and simplify the process of managing displayed data in your documents. Building on our integration with Bluebeam® Studio Prime, we made it easier to work with imported PDF files. New options allow you to toggle off and on annotations, improve snapping, control background fills, and quickly resize and align multiple PDFs at the same time. 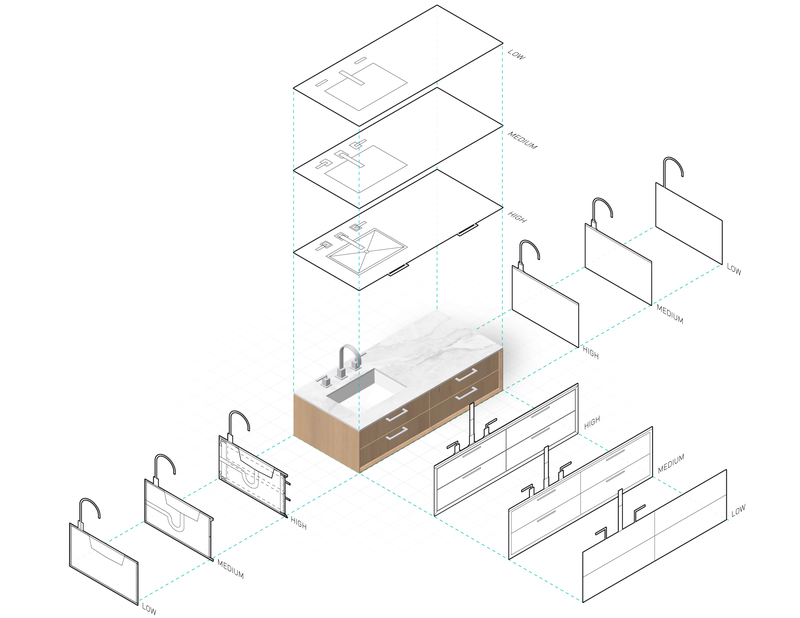 Thanks to the latest updates to the industry standard Teigha® BIM library from the Open Design Alliance, Vectorworks users can now batch import Revit® Families making it easier to incorporate manufacturer objects and convert more building objects from a Revit model to native Vectorworks objects. This is a huge improvement for Revit customers migrating to Vectorworks and makes it easier to access manufacturers’ BIM product content. We’ve expanded our support of catalog styles to additional architectural elements, including all cabinet objects. You can quickly define and specify the cabinetry in your designs using manufacturer catalog data. 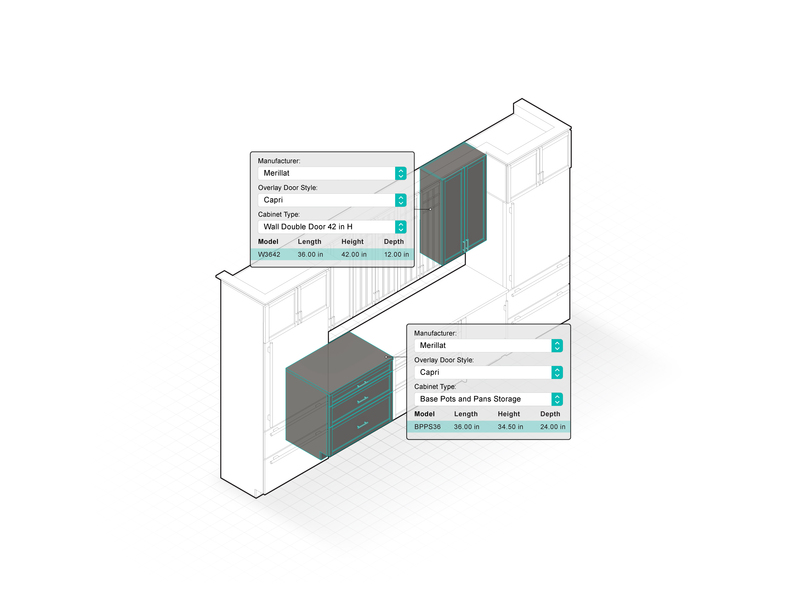 Controlling objects by catalog styles lets you quickly modify the architectural object data while saving you time with your materials specifications. Additionally, Vectorworks now supports this style capability for third-party plugins. Our Vectorworks Graphics Module is an exceptional screen-drawing technologythat makes it possible for you to enjoy smooth, fast, and reliable generations ofdrawing and model views while you’re using Vectorworks. With this latest release,your project’s sheet layers now benefit from optimized, multi-threaded technologyfor use with advanced GPUs. 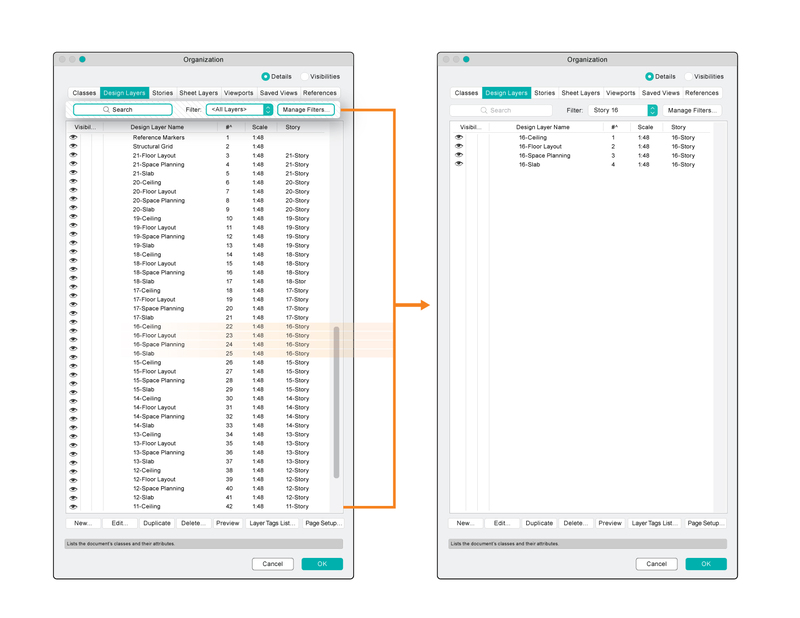 As a result, there’s no performance differencebetween panning and zooming in a sheet layer compared to a design layer. 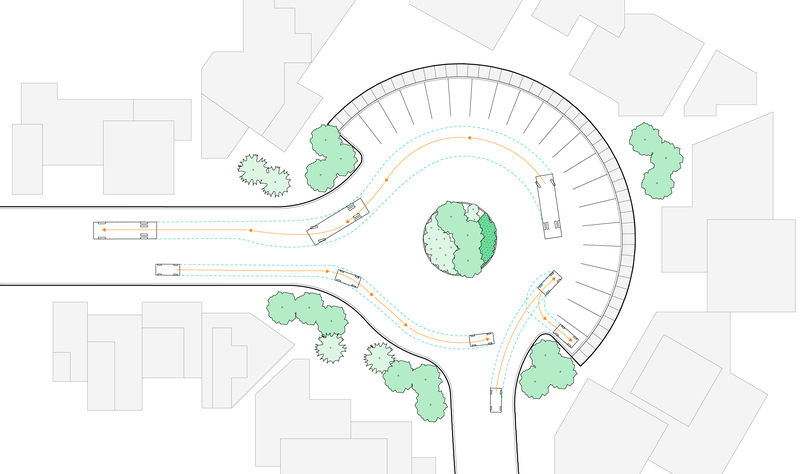 In the past, evaluating whether a design can accommodate the turning paths of vehicles was a time-consuming trial-and-error process. With a new partnership with Transoft Solutions, we’re making it simple to evaluate vehicle access on any project. 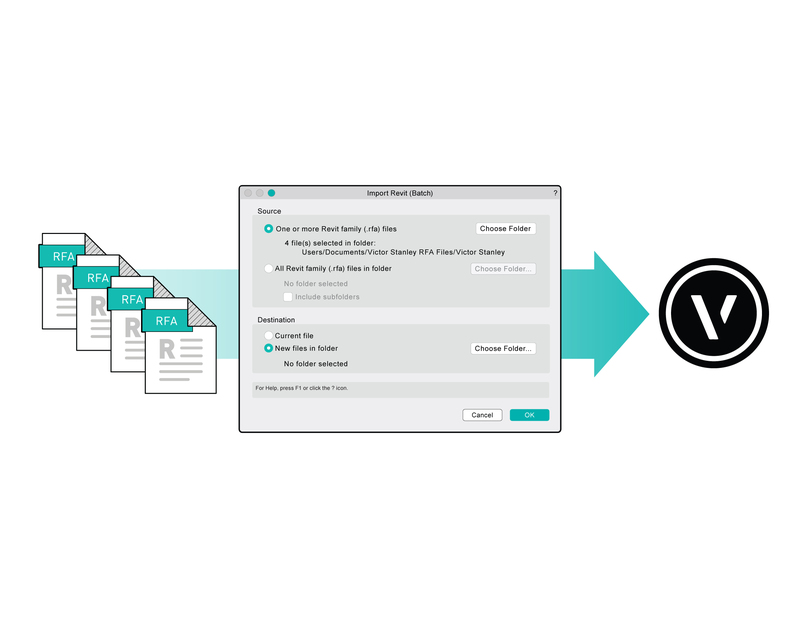 From Vectorworks’ new AutoTURN® Online browser, simply upload a design, pick a vehicle, perform a simulation, and export the results back into your project file. 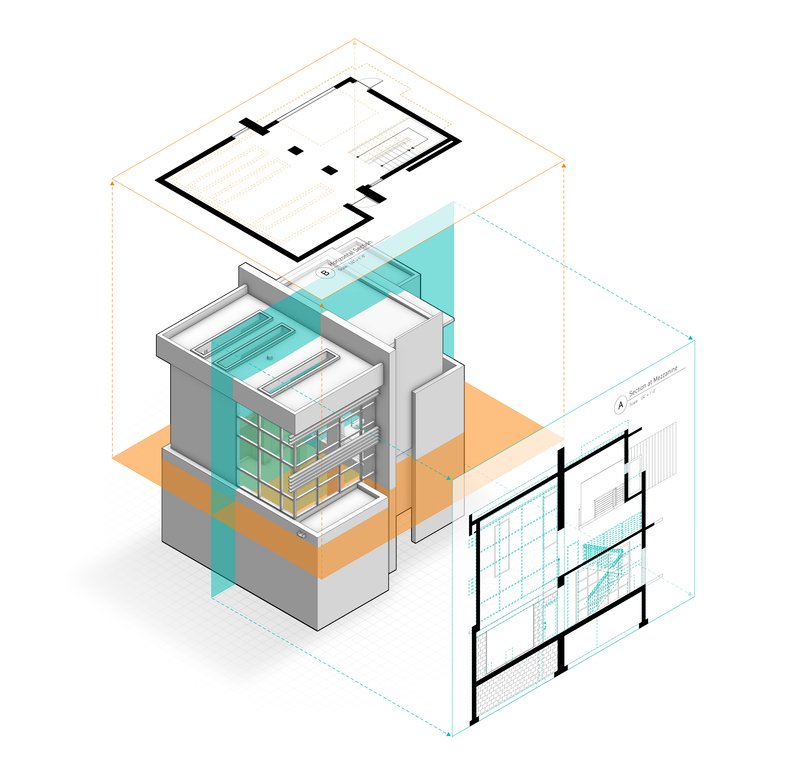 Unlike SketchUp and Rhino, site model sculpting in Vectorworks BIM products can be performed on both geometry and on an intelligent site model, so you can run a site analysis and calculate the effects of your changes without having to use specialized add-ons or entirely separate products. 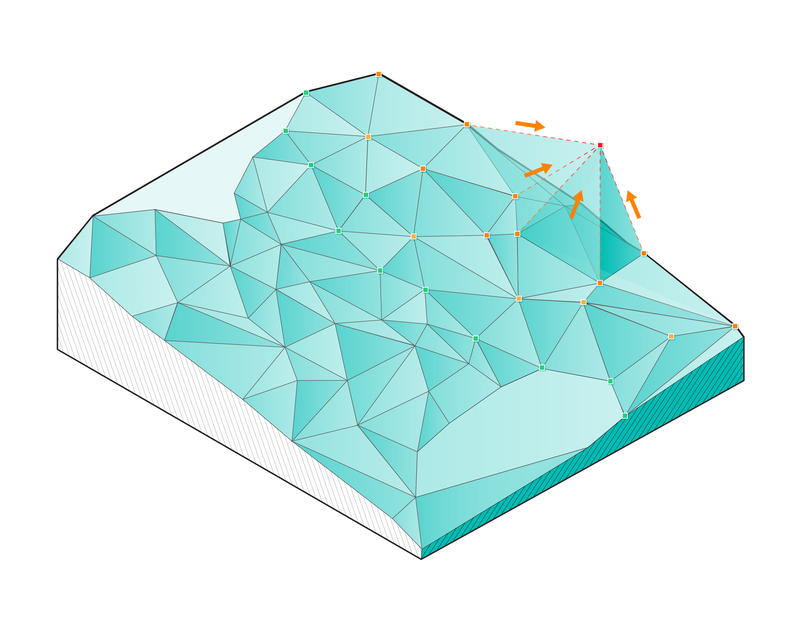 With 2019, you can quickly, easily, and intuitively sculpt the site for your project using a variety of Vectorworks direct modeling features, such as reshape and push/pull. 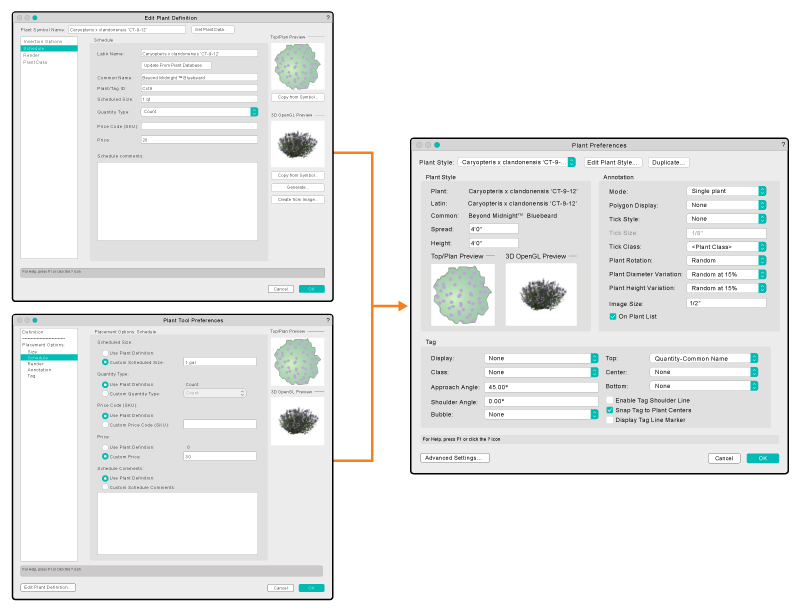 The Choose Plant Data Source command has a new option for you to either open the entire default plant database or open a specific plant catalog from online resources. 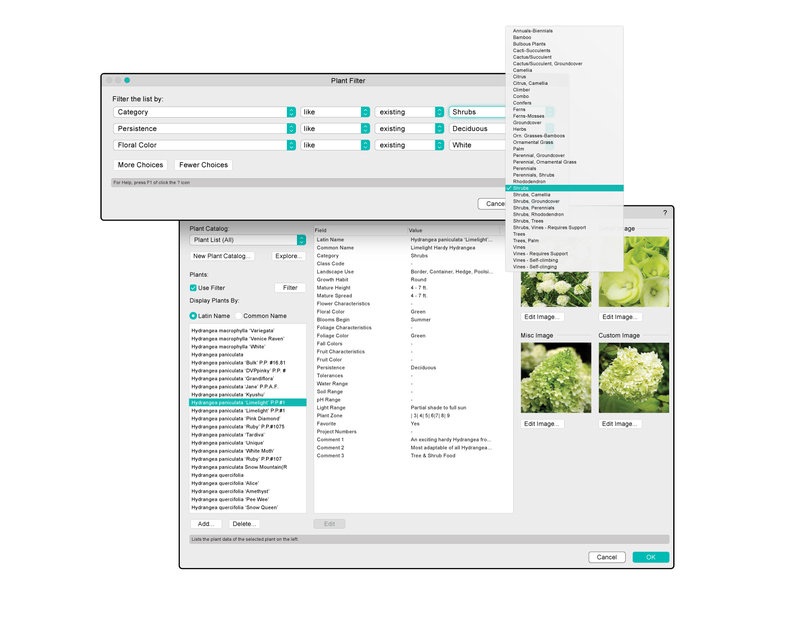 The new capability to specify a catalog can help you more efficiently work with your preferred plant palette and save you the time you’d otherwise spend searching through the entire plant database. Creating planting plans has always been a strength of Vectorworks Landmark, and to keep that legacy, our latest release provides significant user interface improvements to the plant preferences dialog boxes that make the planting workflow more straightforward and easier for new users to learn, while maintaining the advanced functionality you rely on. Improvements in the hardscape object make it possible to define hardscape components such as pavers, mortar, concrete slabs, gravel, etc., and to slope hardscapes for drainage when used in conjunction with the Slab Drainage tool. This gives you an efficient workflow to specify paving material layers and create accurate material take-offs. You increasingly work in 3D to design your lighting rig, scenic elements, and venue, so why should you be limited to using Spotlight tools in 2D? 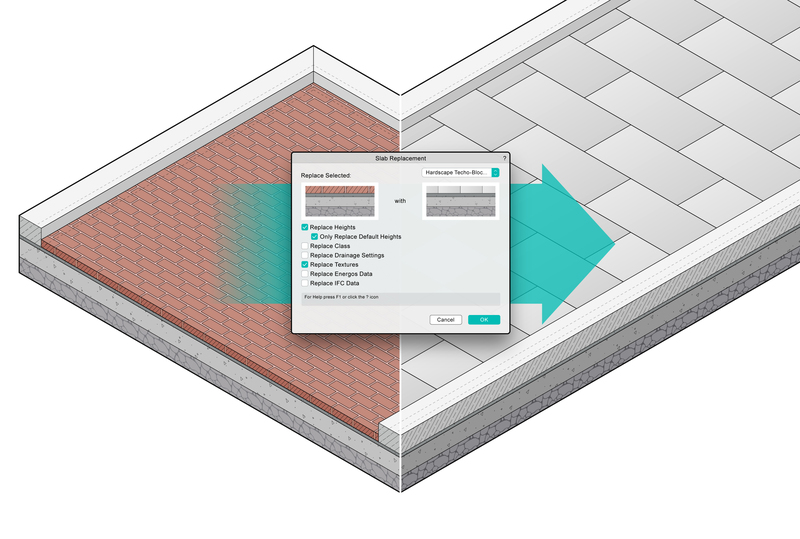 With Vectorworks Spotlight 2019, you can work in 3D from the beginning. Stage decks and all of the commands in the Spotlight menu have been updated to include more intuitive snapping and 3D behaviors that automatically detect and snap to surfaces. No more switching views to move objects into the correct position. 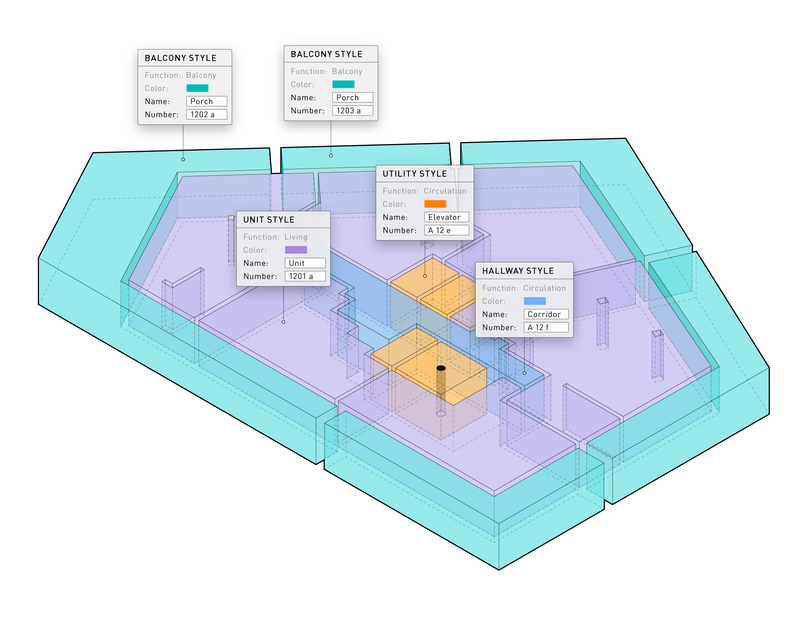 Moreover, you can quickly rotate and align lighting devices in any 3D view using the Rotate tool. 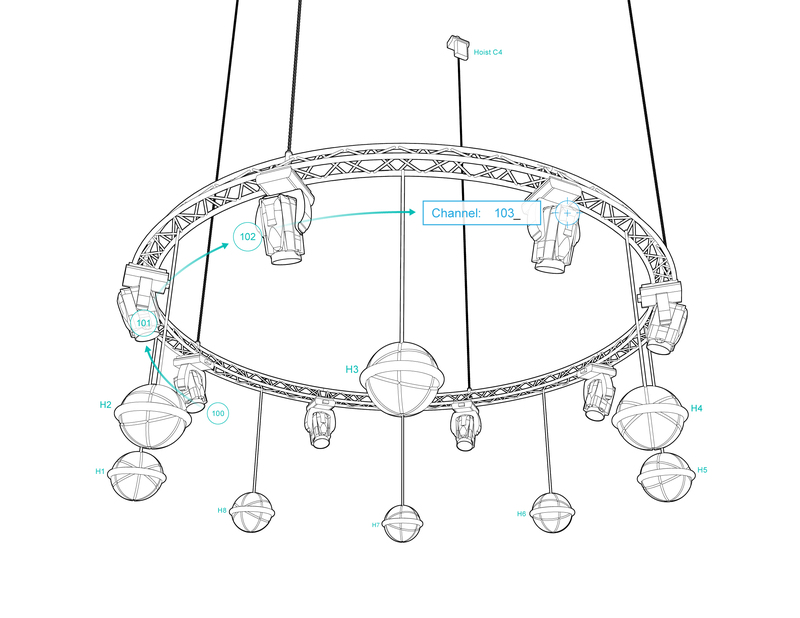 Vectorworks has partnered with MA Lighting and Robe lighting to bring to the industry a new open-standard format known as the General Device Type Format (GDTF). The format has really taken off, with unified support from many of the biggest brands in the entertainment industry. To build on that momentum, we’ve introduced My Virtual Rig (MVR). 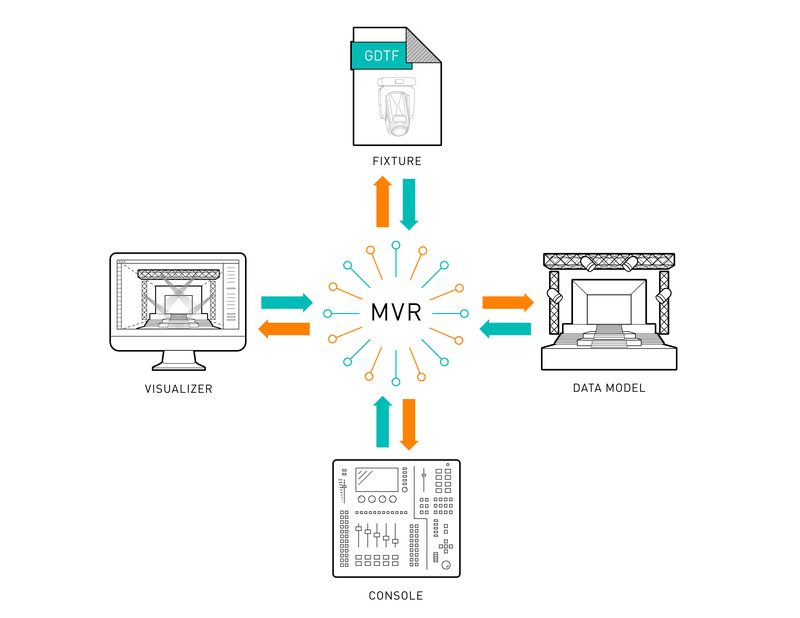 MVR is an open-file-format container that packages the GDTF files for all of the lighting fixtures in your design, along with a complete 3D model and data describing the positions and 3D elements. 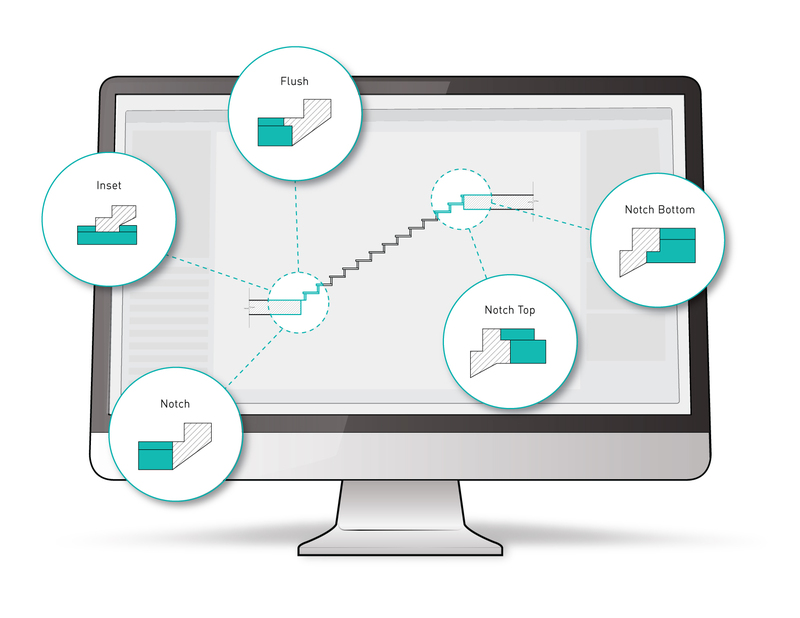 This allows you to easily conduct your previz with Vision and communicate directly from your Vectorworks design to your console. The GDTF format is already supported by the grandMA3® console and will be supported by more than 20 of the largest lighting manufacturers in the near future. Spotlight now provides a streamlined method to produce complex unit-numbering documentation in less time and with more flexibility. It works on multiple object types in any projection and is designed to be configured with specialized, industry specific enumeration patterns. 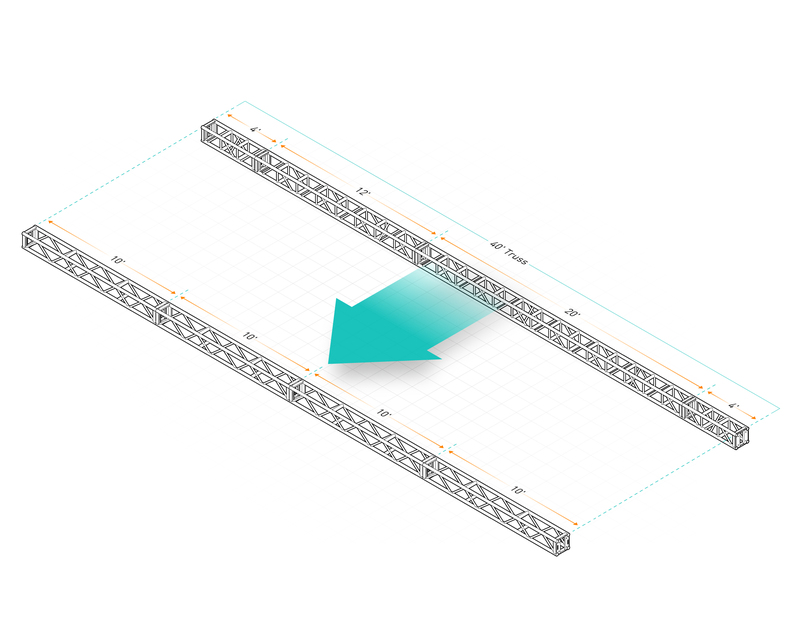 For better insight into how your rig is performing, you can now see the stresses rendered in 3D along a span in both top/plan and 3D projection views. Braceworks now offers a suite of tools to create and calculate bridles, insert the components to achieve the needed leg length, and calculate reaction and deflection forces with the Braceworks engine. Plus, a complete list of parts and assembly diagrams can be generated using 2-, 3-, 4-point, and even stacked bridles for a project. 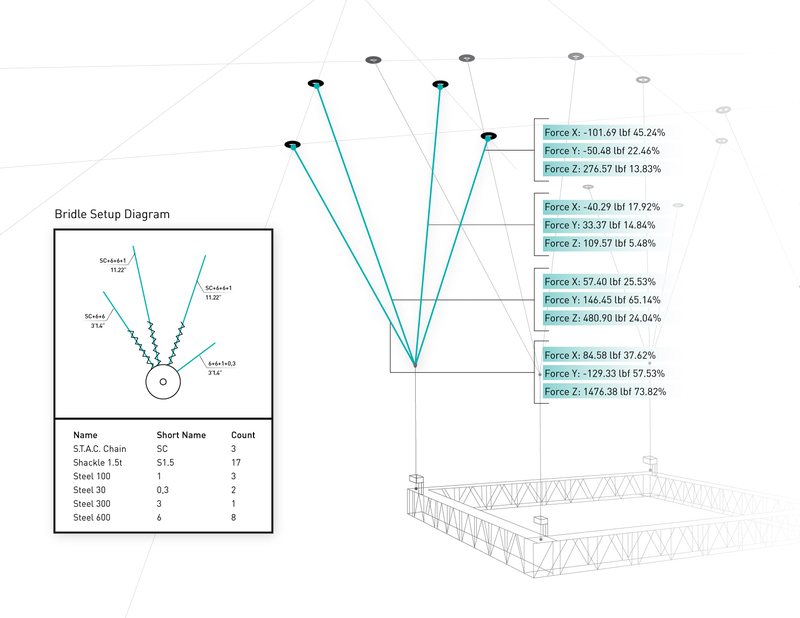 Counting truss lines manually and tracking them in Excel is now a thing of the past. 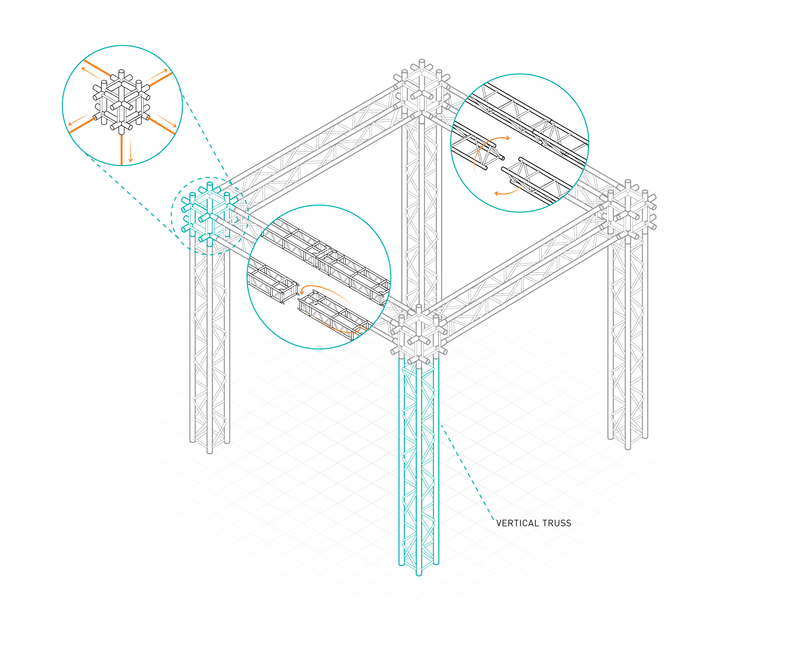 With the replace truss feature in Braceworks 2019, you can adjust to the changing requirements of a specific production by quickly swapping out a truss with another one available in your current truss inventory and still maintain the overall system design. You can change the components of an existing truss system and replace the truss type and/or the manufacturer without having to edit each object individually. 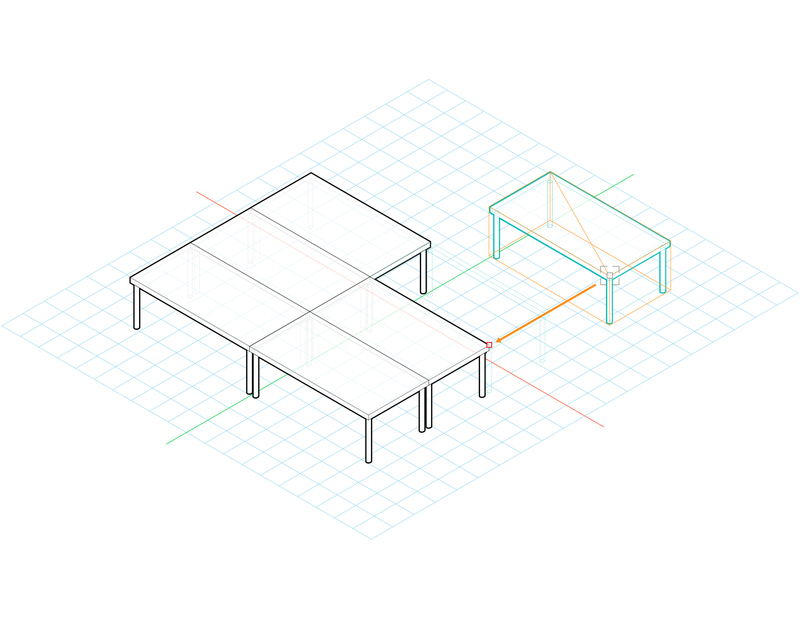 Braceworks now supports all common types of trusses, truss orientations, and truss connections, including ground-mounted supports. 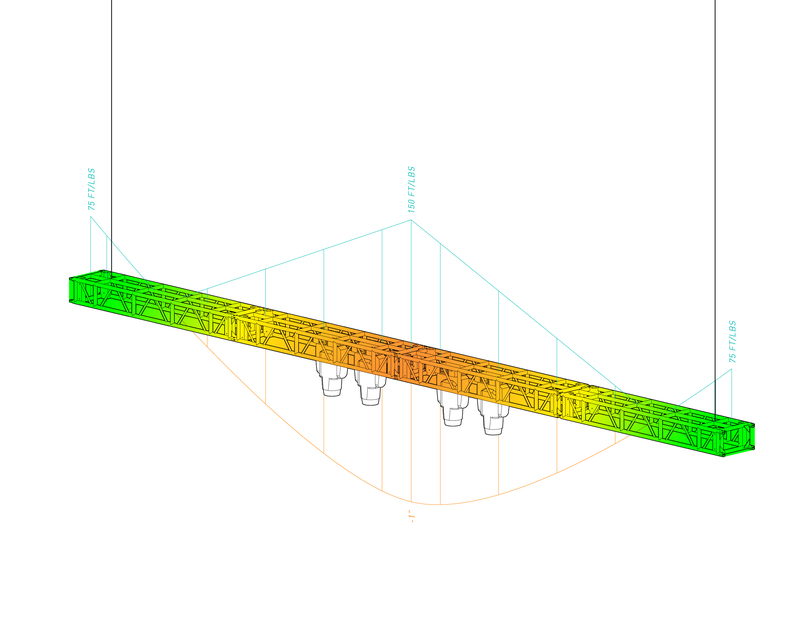 The Braceworks Auto Connect engine has been enhanced to support vertical truss symbols and male female-type connectors, and it now handles triangle trusses correctly and efficiently. This is the Vision you’ve been waiting for! 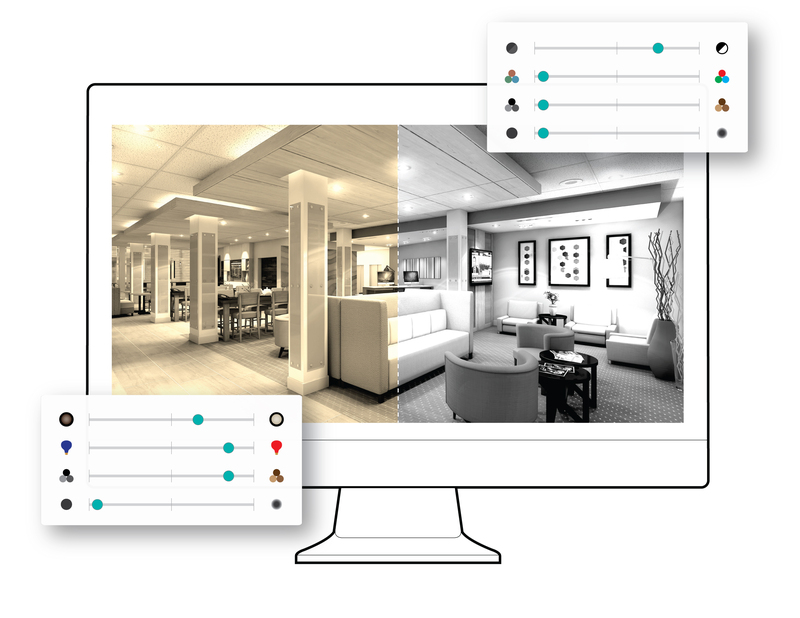 By re-engineering the rendering engine and tuning Vision’s performance, we’ve made a serious investment in the overall interface quality. 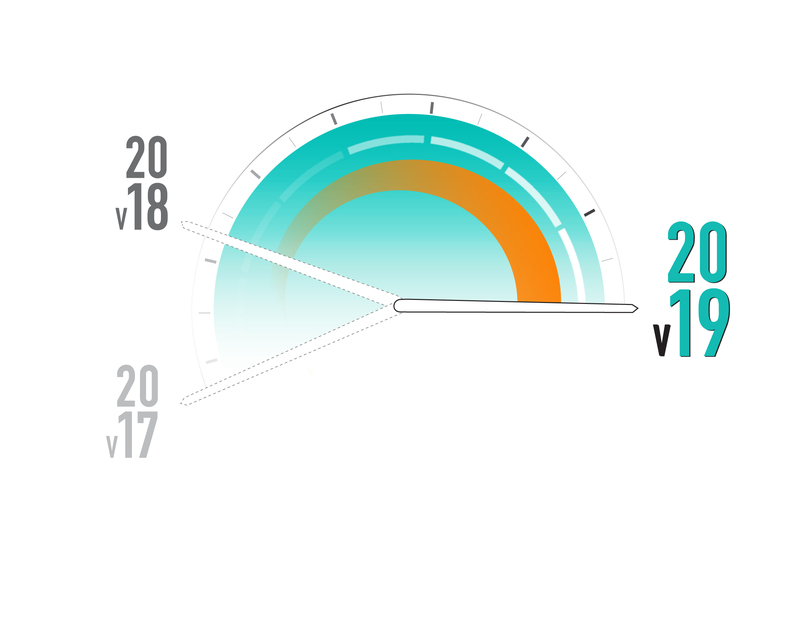 Version 2019 produces higher-quality rendering, including specular lighting and attenuation, in more complex files, at a higher frame rate. Additionally, you can now save and recall rendering and interactions in a Vision document. This provides an easier way to set up the appearance and interaction of Vison’s rendering and controls.